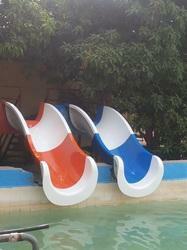 Pioneers in the industry, we offer kids slide from India. Ankam Corporation is engaged in manufacturing of Kids Slide, swimming pool slides, and pool slides. Kids Slide designed for kids with jungle speeds and highest of safety features. Ankam Corporation designs and manufactures all of the water rides as per ASTM and EN standards. Kids water Slides are available in multiple sizes which can be custom designed as per space and budget constraints. Best water slide for any Family Pool, Hotel Pool, Resort or a Waterpark and Resorts. It can be installed even for Indoor & Outdoor Water park. Its much more better for Kids in the Age of 4-10 Years. Looking for Pool Slides ?